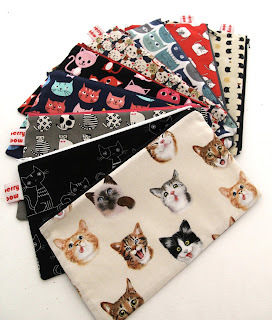 Raspberry Rainbow: Crazy Cat Lady is here! 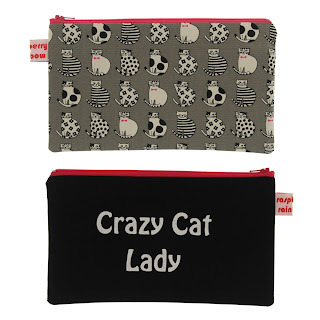 Crazy Cat Lady is here! 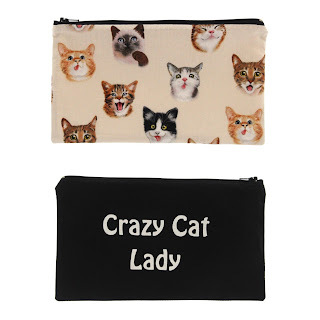 I love me a Crazy Cat Lady. I know quite a few. I am related to one. I want to be one. 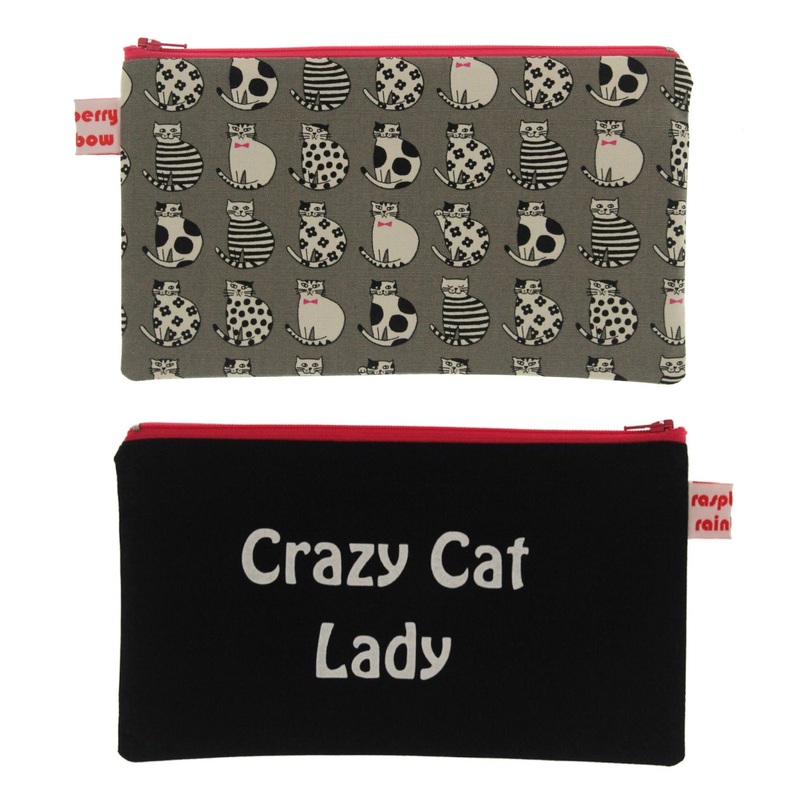 When I say "Crazy Cat Lady", it is with affection and admiration. You can customise and choose what inner lining fabric you want - white waterproof, dark grey waterproof, white 100% cotton drill or black 100% cotton drill. They are in my etsy shop now. If you need a "Crazy Cat Person" zippered bag, let me know, I can make them too. 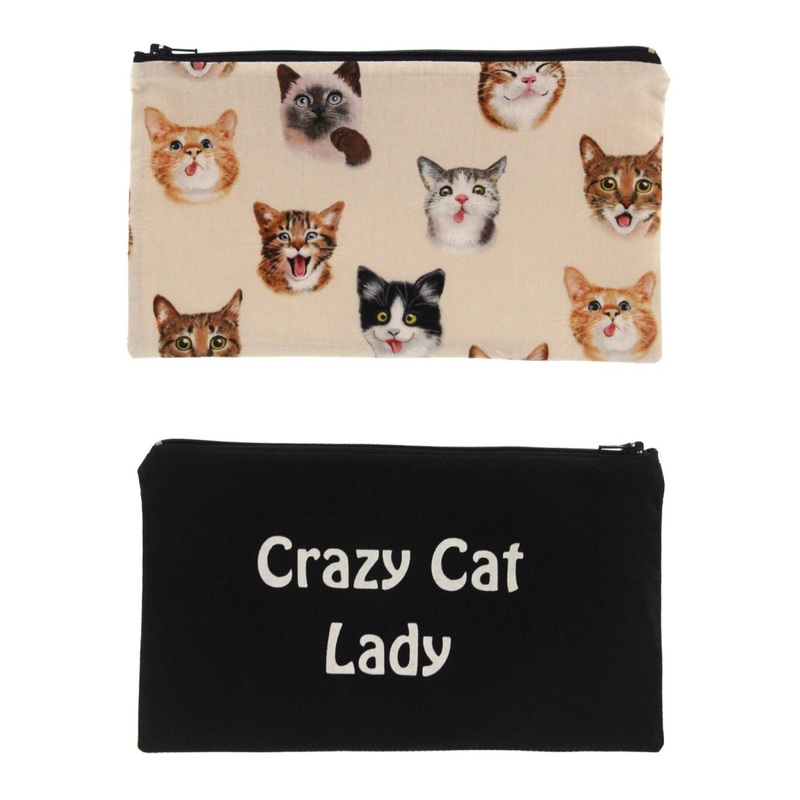 Go forth and be a crazy cat lady, you are so very loved.